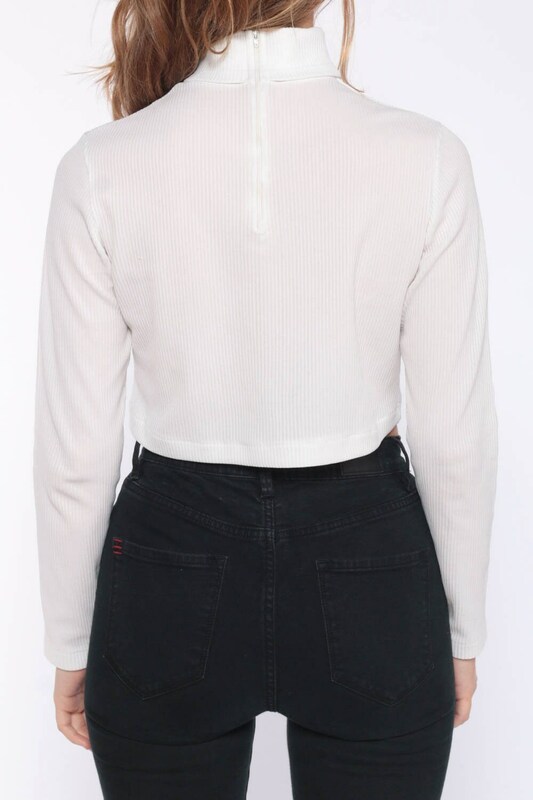 Vintage 70s shirt in off-white with a cropped hem and a turtleneck. Long sleeves, rear zipper. Condition: Very good vintage. A few tiny snags throughout.